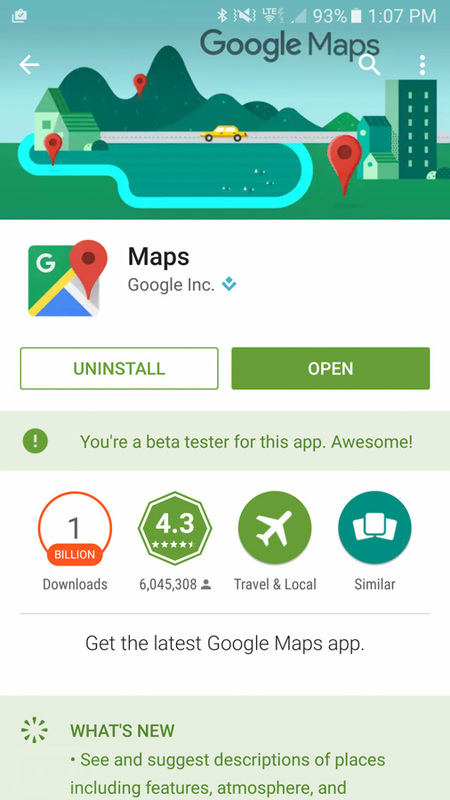 A couple of weeks ago, we pointed out a new section in Google Play that showed you a list of apps you were currently beta testing, noting that it was only just beginning to rollout to users. Today (or maybe even last night), the full rollout started and you more than likely have the new section, whether you realized it or not. What is this new beta section for? Well, first of all, you’ll find it as a new page/column in your “My apps & games” section of Google Play. It should be situated all of the way to the far right, even further right than your “All” apps page. Assuming you have signed up for beta versions of an app, you should see them listed there. But really, this new section has been needed for far too long, so we are glad to have it. It lets you easily manage all of the apps you may be testing for Google or other 3rd party developers. This section, along with individual app pages that have betas, allow you to opt-in or out of beta tests, without having to do so through that awkward opt-in web page we used to use, along with Google+ groups. If you know of an app that has a beta, you can find the opt-in box towards the bottom of its app page. 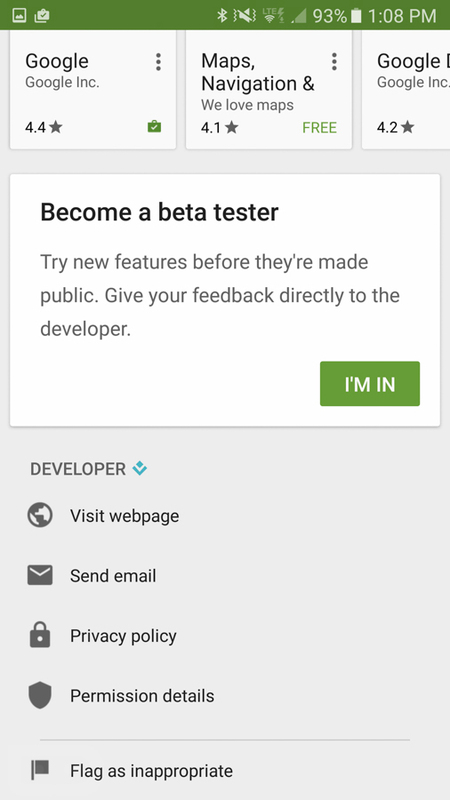 Google has created a special box (seen below) that lets you become a tester or even leave a test if you would rather ditch the beta track. Once you become a beta tester, you’ll always see a notification just under the “uninstall” button that reminds you, probably so that you don’t spam off pure hatred to a developer over issues that are in a beta app. 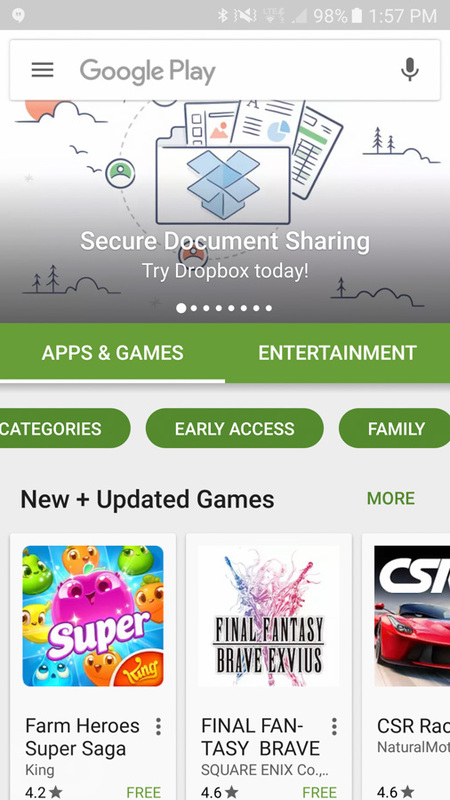 To find beta apps, you really need to know that an app has one available or you could just check each of your apps by scrolling to the bottom of their pages. 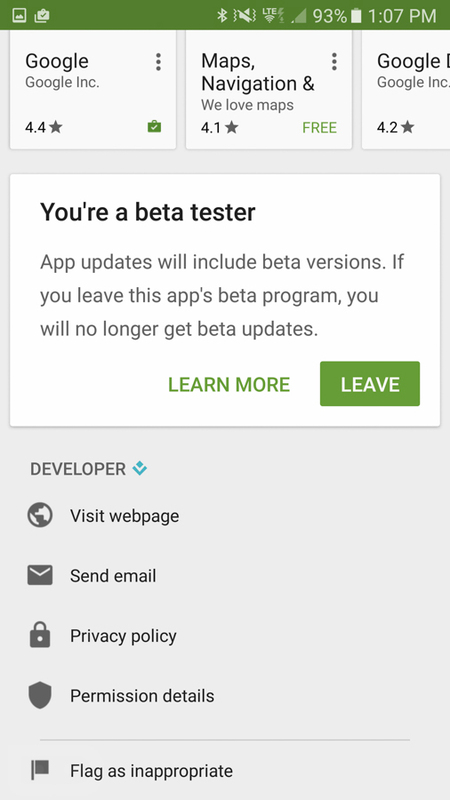 Otherwise, Google hasn’t exactly added a “beta” section to Play just yet. 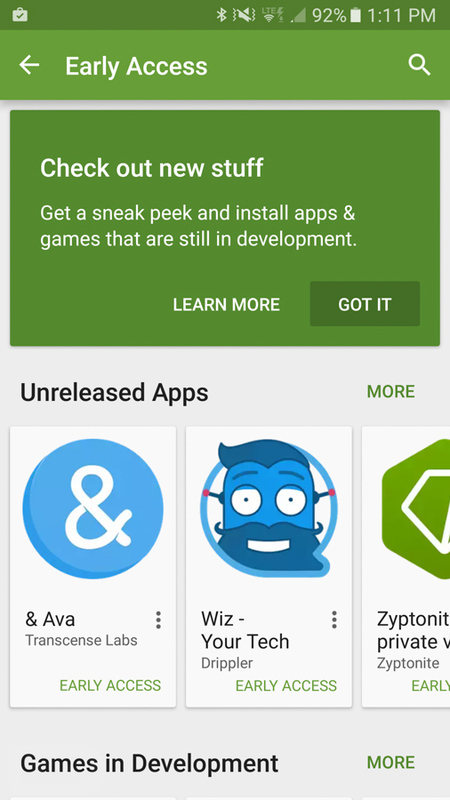 If you’d like to find other apps that are in early stages (maybe even pre-beta), Google has also recently added an “Early Access” section to the Play store that can be found through the main apps page in one of the little green category buttons (see below). 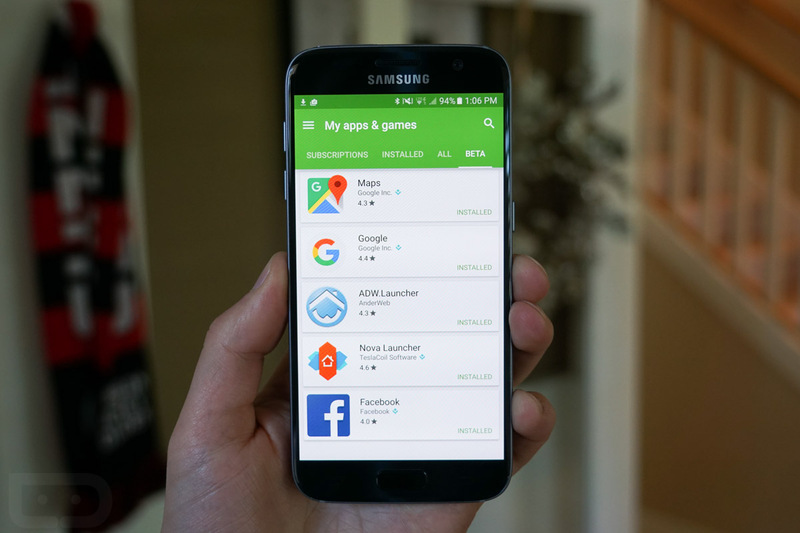 In this section, you’ll find apps that are still in development or are betas. In fact, if you install early access apps, they’ll show up in the beta section we referenced above. Of course, these early access apps will warn you that they may not be all that stable because they aren’t finished, hence the name “early access.” Like with betas, be kind to the developers and try to help them out as you see bugs. Now, get to playing with the early goodies.